It is finally here! 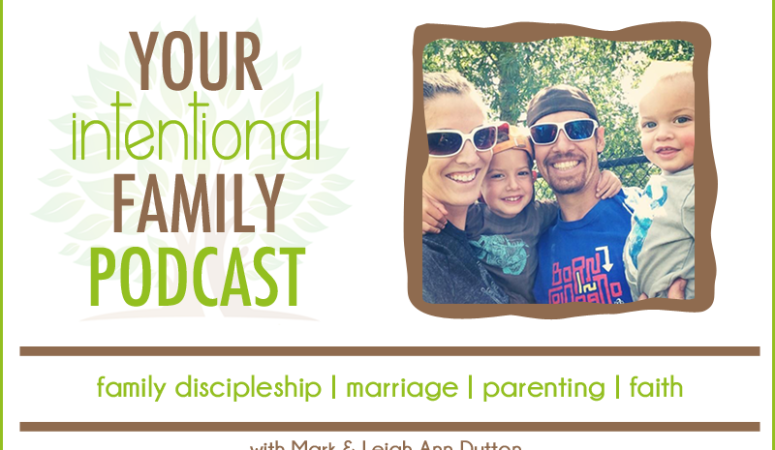 Welcome to the Your Intentional Family Podcast! You can download the podcast to your computer or listen to it here on the blog. You can see it in the “podcast player” at the top of this post. Simply press play to start listening. You can also listen and subscribe to the Podcast on iTunes by clicking here. If you would, please leave a review on iTunes to help our rankings and spread the word for other families to find out about us! Since this is our very first episode, we decided to take a little time to introduce ourselves, tell you a little bit about our story, and let you meet our kids. Nothing too heavy or too formal, just a little glimpse into our life and our our growing family. In the future we will be talking about specific topics surrounding family discipleship, Bible literacy, marriage, parenting, family worship, and just having fun and going on adventures as a family. Additionally we will be mixing it up with special guests on occasion. 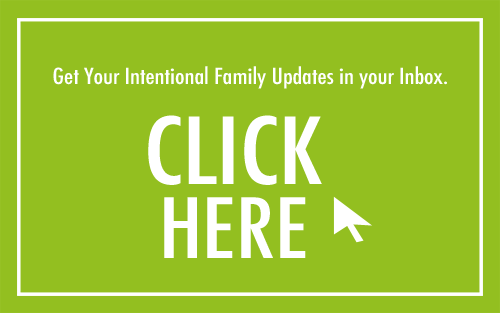 Some will be people you may have heard of before, some will be ordinary families that we can all relate to, and others will be individuals who have impacted our lives in ways we would love to share with you. 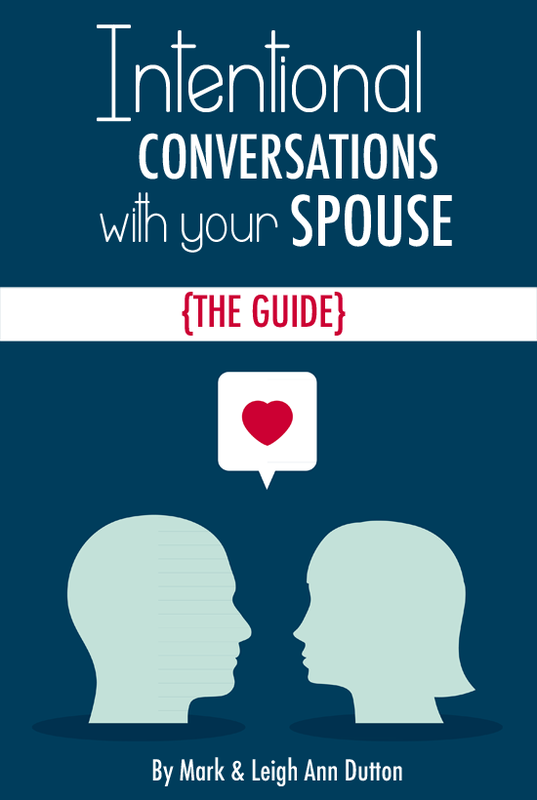 We are truly excited about bringing this Podcast to you as another way that we can pursue living for Him together as families. 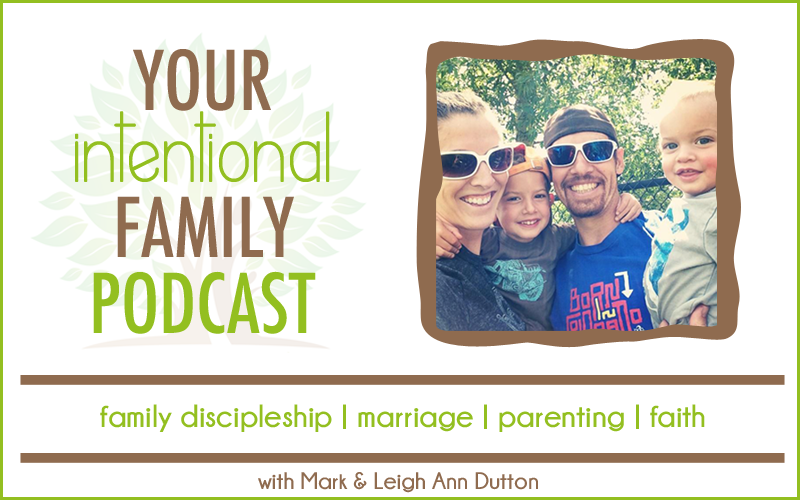 Get to know your hosts and creators of Your Intentional Family – Mark & Leigh Ann Dutton. 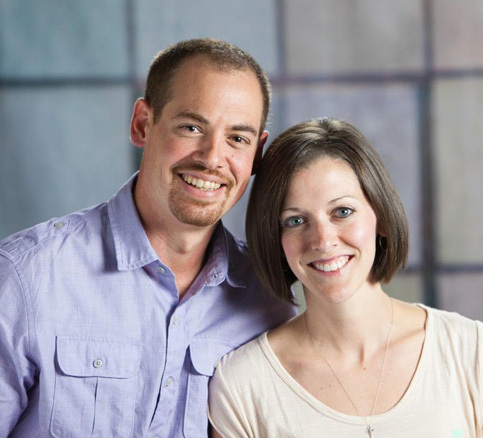 Hear our story of meeting, marrying, and starting a family. Hear our kids introduce themselves and share a song with you. I thoroughly enjoyed hearing your “story” told by the two of you. Granted I, as Leigh Ann’s mother, knew the story but, hearing it told through your own words as you reminance was very refreshing. It shows your true love for one another and your love for God. It does my heart good to hear you speak of Gods blessings through bringing you two together to glorify his name. It is an even greater joy to hear the boys speak of their love for God. The only way this 2 and 5 year old would know about the Lord is through parents who teach them about Gods love. I have personally watched the boys quote scriptures and answer questions about the Bible! The amazing part is how their faces light up when talking about Jesus and how they can serve him. Keep up the good work and I look forward to hearing more podcasts about how God is moving in your lives and how we can allow God to move in our lives also. Thanks, Mom! This was such an encouragement for us to read because we know you’ll tell us the truth. 🙂 Thank you! Listening to your cast shows me that the two if you are “normal” as anyone, however you do desire to do Gods will. You are a testimony that normal people can step out, on faith, and know everything will be fine in his carnal world, inspiring!